We would like to thank all those who visited us at our open day and hope they enjoyed themselves. 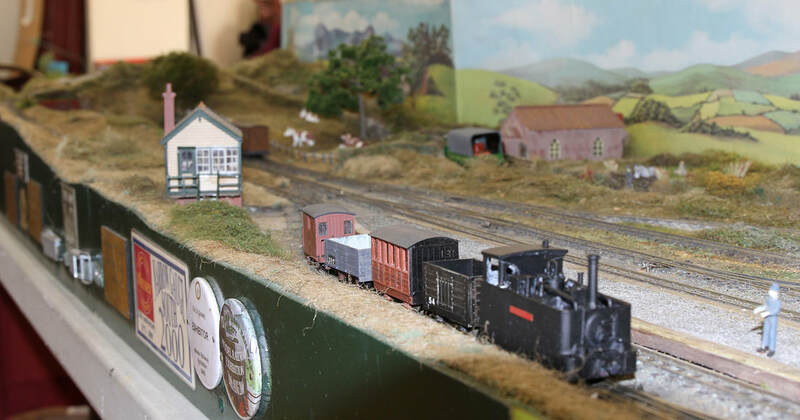 Below are a selection of pictures of the layouts and exhibits on show. 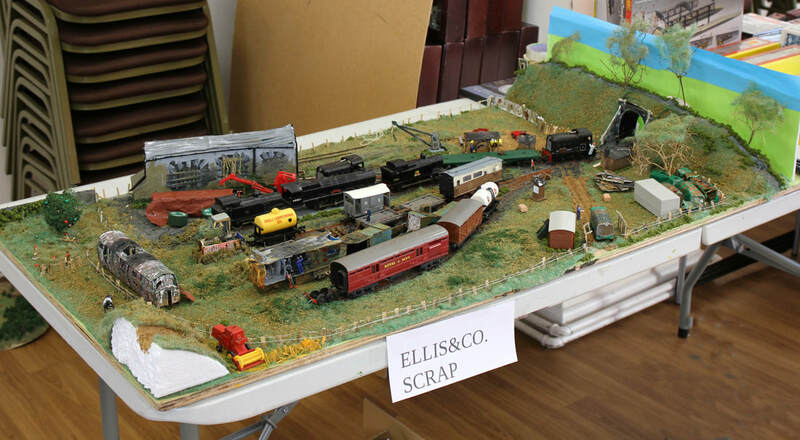 First up we have a view of Emma Shard's layout based on St Blazey. A selection of Emma's diesels, all of which have worked in Cornwall. 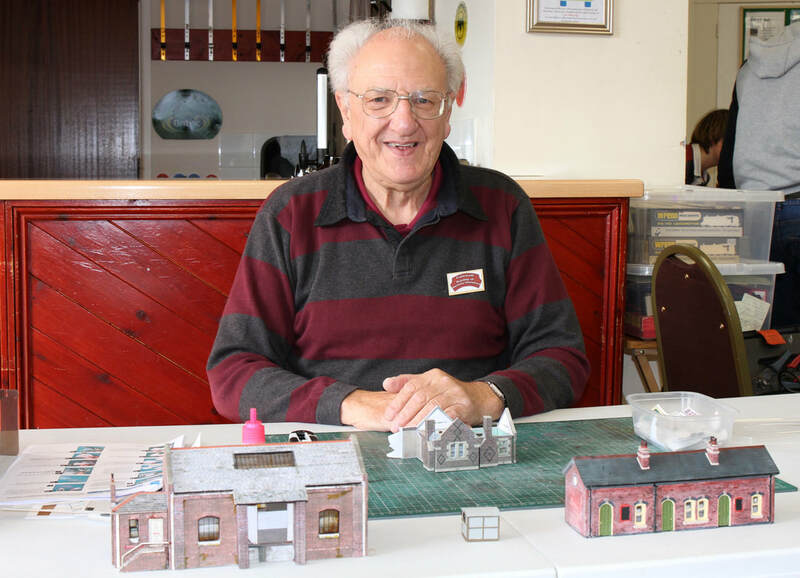 Ivan (one of our members) was demonstrating the contruction of buildings using download kits from the internet. The cottage (under construction) is now on our Smithick Vale layout. 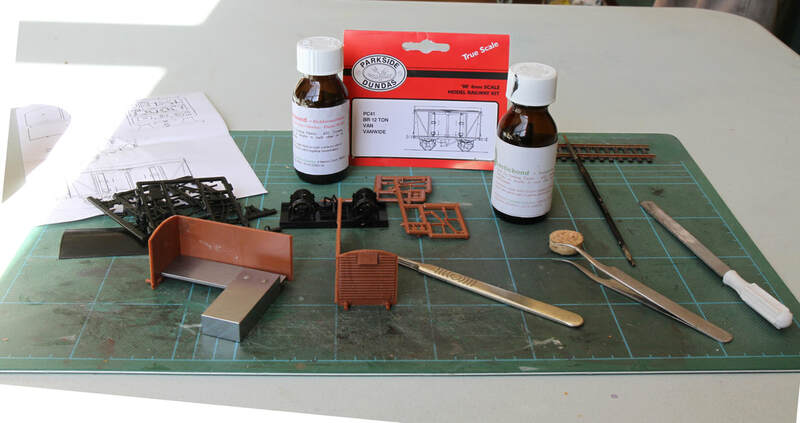 Ellis & Co Scrap is a first attempt by Erik, one of our junior members. 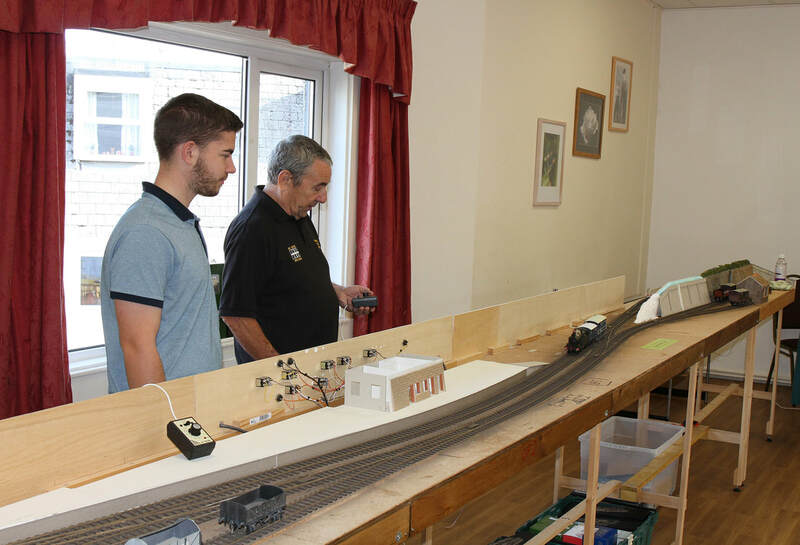 As always, we had our U-Drive layout on show where children (big & small) can operate trains. 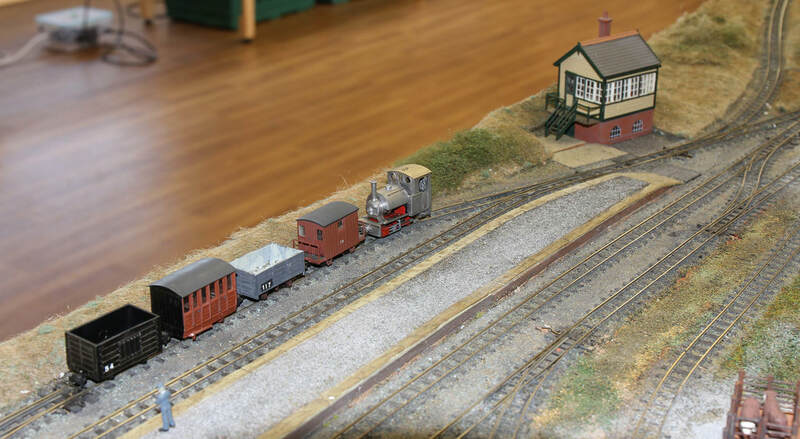 Narrow gauge was represented by our OO9 layout, Pyattson, where we see one of the tank engines shunting rolling stock. 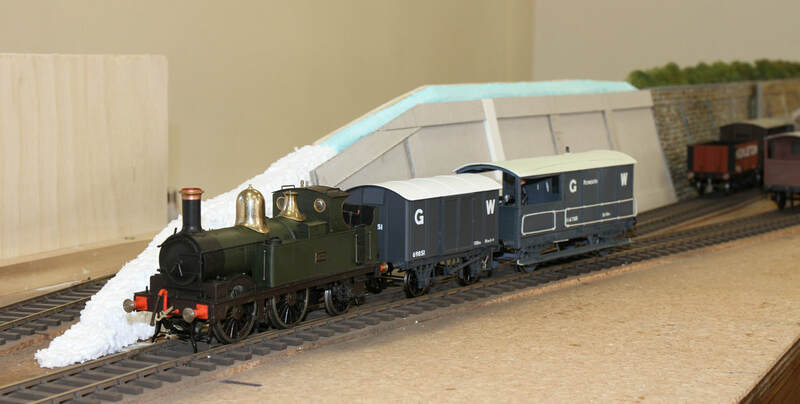 Another view of Pyattson, with a yet to be painted tank engine engaed in some shunting. 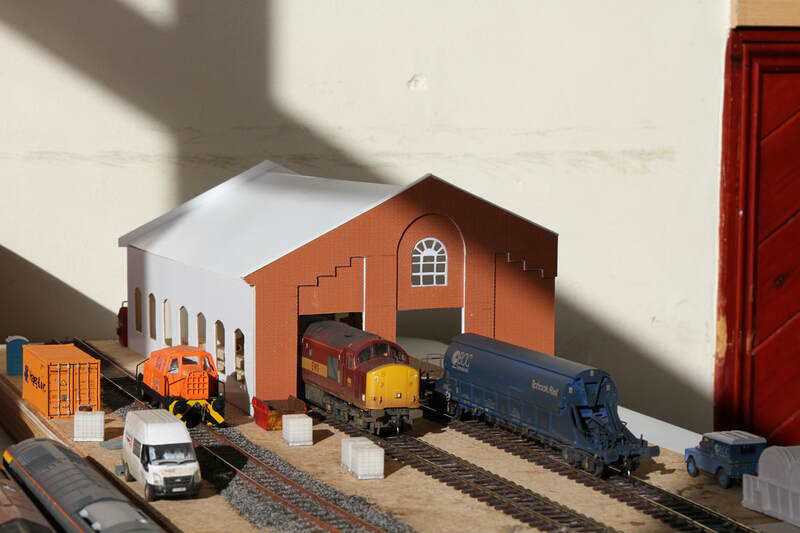 Our O gauge layout 'Ruthern' (the 'u' is an 'uh' sound as in rug) was also present. 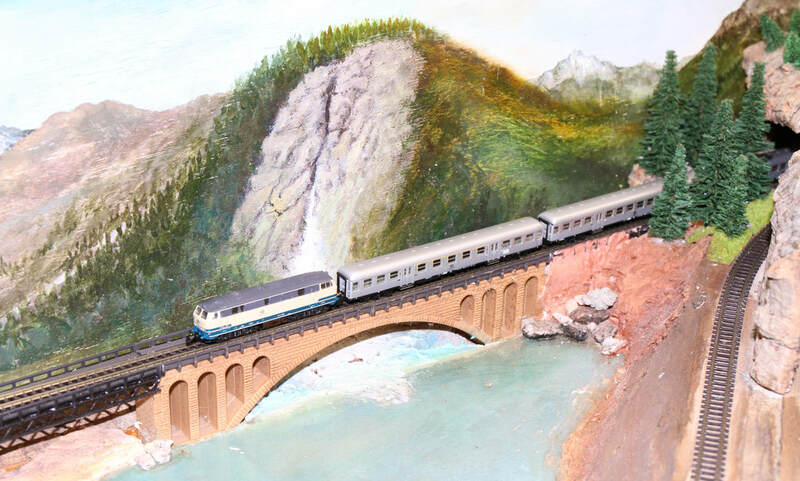 The layout is electrically wired and scenic work is now underway. A branch passenger train arrives at Ruthern. A demonstration of wagon building was given by the photographer (when he wasn't taking pictures), the van is a BR 12T 'Vanwide' by Parkside. The vehicle is painted and awaiting decals. 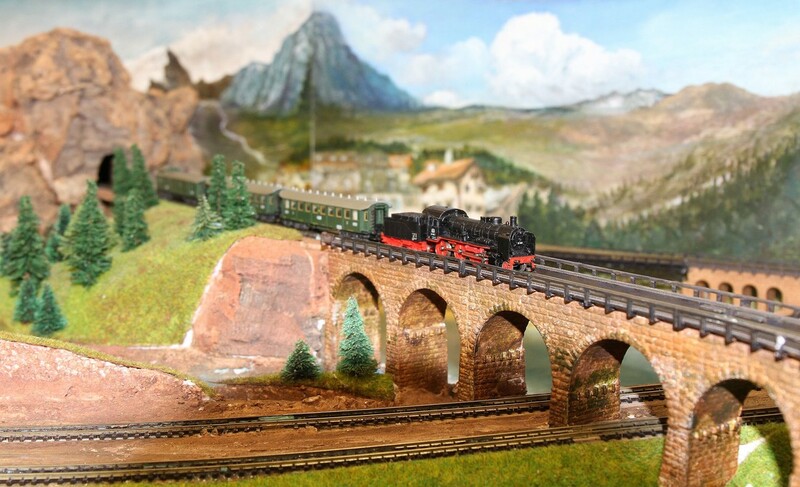 Our Z gauge layout 'Bear Mountain' was also present. 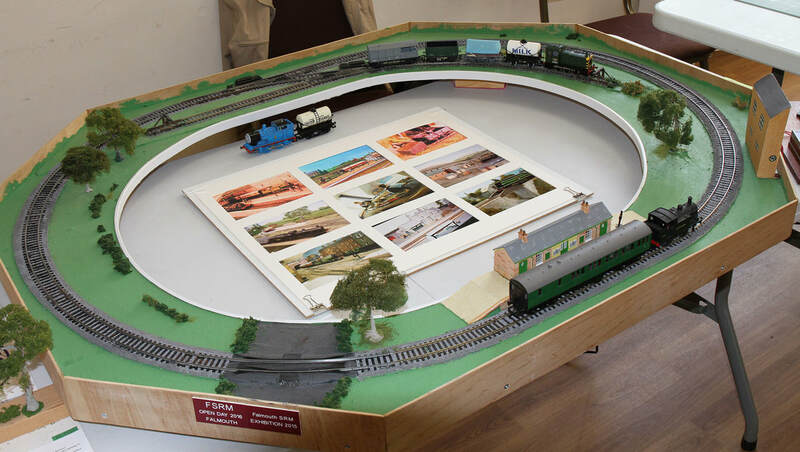 The layout which follows German practice will also be on show at the National Maritime Museum (Cornwall) in November. 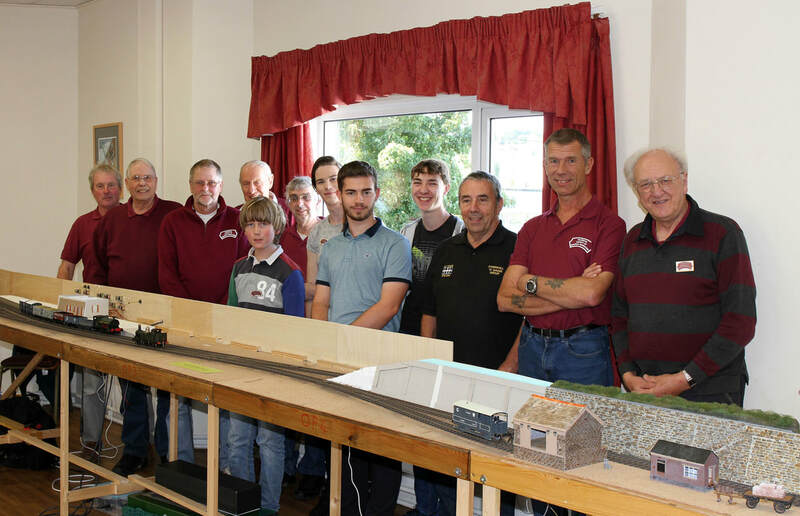 Some of our happy band of modellers with Ruthern. The photographer was suspiciously absent due to being behind the camera! We are hoping to hold another open day in 2019, so be sure to keep visiting our website for details. Click here to see our poster. Alternatively, why not come along and join us.